Russia’s fifth generation Su-57 fighter jets will be armed with the newly-designed Drel air bomb, the deputy head of the Techmash Concern, Alexander Kochkin said. “The Drel can be used on all types of aircraft, from long-range strategic bombers to ground attack planes,” Kochkin told Russian media. He added that the “fire and forget” bomb may be dropped by a bomber jet without entering enemy airspace as the bomb itself can glide for over 30 kilometers (19 miles). “The plane drops the bomb, it starts to glide down and its onboard self-homing system puts it on track to its target,” Kochkin explained. A single cluster of sub-munitions from the bomb would be capable of taking out a missile battery or a tank column. The bomb is also virtually invisible to radar with heat-seeking elements and is immune to radio-electronic countermeasures. In January, Techmash general director Vladimir Lepin announced that the Drel bomb could be inducted into the Russian army as early as 2018, after the completion of testing. 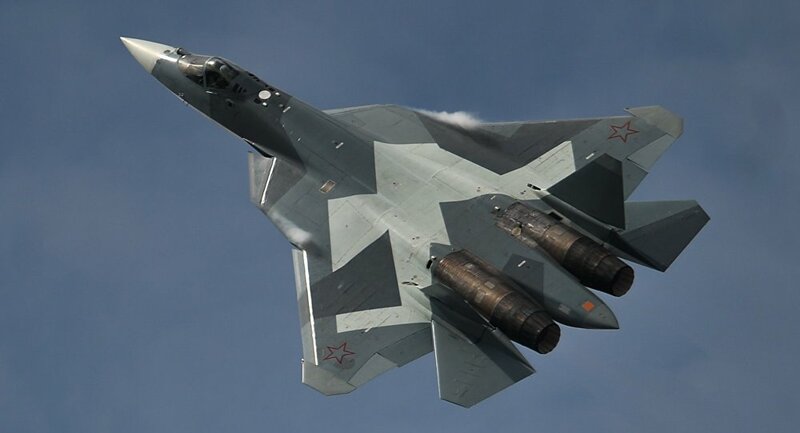 Designed by Russian aircraft manufacturer Sukhoi, the new Su-57 is Russia’s first fifth generation fighter jet developed for air superiority and attack. It is stealthy, highly maneuverable and capable of flying at supersonic speeds without an afterburner. In terms of characteristics, the Su-57 is in the same league with the US F-35 fifth generation fighter-bomber.